Is there a better alternative to Meerkat? Is Meerkat really the best app in Internet Utilities category? Will Meerkat work good on macOS 10.13.4? 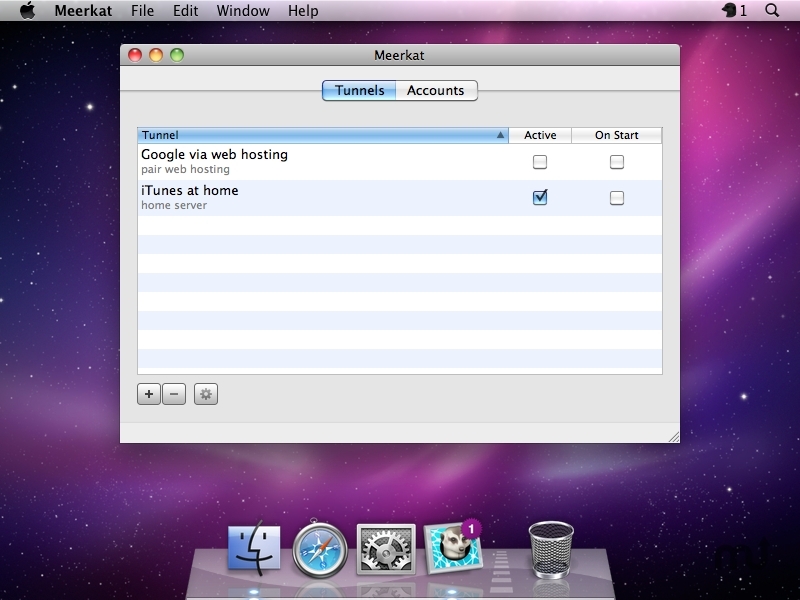 Meerkat ... An easy to use SSH tunnel manager built specifically for the Mac. A perfect marriage of UNIX power with Mac elegance, Meerkat includes innovative features such as application triggers, automatic reconnection on system sleep & network change, Growl integration, Bonjour support, command-line and AppleScript integration, and much more. Allow reverse tunnels to make an endpoint available to the remote network, not just the remote host (corresponds to the *: binding option on the -R argument). Fixed a few minor issues with license file handling and the application interface. Meerkat needs a rating. Be the first to rate this app and get the discussion started!